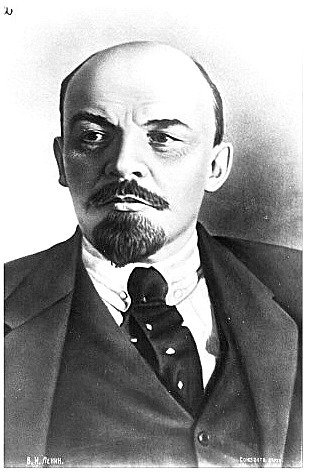 Vladimir I. Lenin - The Defeat of One’s Own Government in the Imperialist War. Published in Sotsial-Demorkrat No. 43, July 26, 1915. Source: Lenin Collected Works, Progress Publishers, , Moscow, Volume 21, pages 275-280. 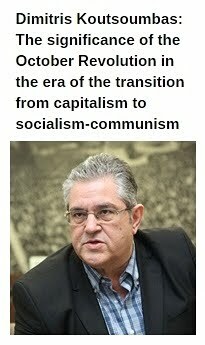 Republished from Marxists Internet Archives. During a reactionary war a revolutionary class cannot but desire the defeat of its government. This is axiomatic, and disputed only by conscious partisans or helpless satellites of the social-chauvinists. Among the former, for instance, is Semkovsky of the Organising Committee (No. 2 of its Izvestia), and among the latter, Trotsky and Bukvoyed, and Kautsky in Germany. To desire Russia’s defeat, Trotsky writes, is “an uncalled-for and absolutely unjustifiable concession to the political methodology of social-patriotism, which would replace the revolutionary struggle against the war and the conditions causing it, with an orientation—highly arbitrary in the present conditions—towards the lesser evil” (Nashe Slovo No. 105). The phrase-bandying Trotsky has completely lost his bearings on a simple issue. It seems to him that to desire Russia’s defeat means desiring the victory of Germany. (Bukvoyed and Semkovsky give more direct expression to the “thought”, or rather want of thought, which they share with Trotsky.) But Trotsky regards this as the “methodology of social-patriotism"! To help people that are unable to think for themselves, the Berne resolution (Sotsial DemokratNo. 40) made it clear, that in all imperialist countries the proletariat must now desire the defeat of its own government. Bukvoyed and Trotsky preferred to avoid this truth, while Semkovsky (an opportunist who is more useful to the working class than all the others, thanks to his naively frank reiteration of bourgeois wisdom) blurted out the following: “This is nonsense, because either Germany or Russia can win” (Izvestia No. 2). Take the example of the Paris Commune. France was defeated by Germany but the workers were defeated by Bismarck and Thiers! Had Bukvoyed and Trotsky done a little thinking, they would have realised that they have adopted the viewpoint on the war held by governments and the bourgeoisie, i.e., that they cringe to the “political methodology of social-patriotism”, to use Trotsky’s pretentious language. A revolution in wartime means civil war; the conversion of a war between governments into a civil war is, on the one hand, facilitated by military reverses ("defeats") of governments; on the other hand, one cannot actually strive for such a conversion without thereby facilitating defeat. The reason why the chauvinists (including the Organising Committee and the Chkheidze group) repudiate the defeat “slogan” is that this slogan alone implies a consistent call for revolutionary action against one’s own government in wartime. Without such action, millions of ultra-revolutionary phrases such as a war against “the war and the conditions, etc." are not worth a brass farthing. Anyone who would in all earnest refute the “slogan” of defeat for one’s own government in the imperialist war should prove one of three things: (1) that the war of 1914-15 is not reactionary, or (2) that a revolution stemming from that war is impossible, or (3) that co-ordination and mutual aid are possible between revolutionary movements in all the belligerent countries. The third point is particularly important to Russia, a most backward country, where an immediate socialist revolution is impossible. That is why the Russian Social-Democrats had to be the first to advance the “theory and practice” of the defeat “slogan”. The tsarist government was perfectly right in asserting that the agitation conducted by the Russian Social-Democratic Labour group in the Duma—the sole instance in the International, not only of parliamentary opposition but of genuine revolutionary anti-government agitation among the masses—that this agitation has weakened Russia’s “military might” and is likely to lead to its defeat. This is a fact to which it is foolish to close one’s eyes. The opponents of the defeat slogan are simply afraid of themselves when they refuse to recognise the very obvious fact of the inseparable link between revolutionary agitation against the government and helping bring about its defeat. 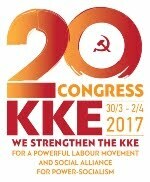 Are co-ordination and mutual aid possible between the Russian movement, which is revolutionary in the bourgeois- democratic sense, and th socialist movement in the West? No socialist who has publicly spoken on the matter during the last decade has doubted this, the movement among the Austrian proletariat after October 17, 1905, actually proving it possible. Ask any Social-Democrat who calls himself an internationalist whether or not he approves of an understanding between the Social-Democrats of the various belligerent countries on joint revolutionary action against all belligerent governments. Many of them will reply that it is impossible, as Kautsky has done (Die Neue Zeit, October 2, 1914), thereby fully proving his social-chauvinism. This, on the one hand, is a deliberate and vicious lie, which clashes with the generally known facts and the Basle Manifesto. On the other hand, if it were true, the opportunists would be quite right in many respects! Many will voice their approval of such an understanding. To this we shall say: if this approval is not hypocritical, it is ridiculous to think that, in wartime and for the conduct of a war, some “formal” understanding is necessary, such as the election of representatives, the arrangement of a meeting, the signing of an agreement, and the choice of the day and hour! Only the Semkovskys are capable of thinking so. An understanding on revolutionary action even in a single country, to say nothing of a number of countries, can be achieved only by the force of the example of serious revolutionary action, by launching such action and developing it. However, such action cannot be launched without desiring the defeat of the government, and without contributing to such a defeat. The conversion of the imperialist war into a civil war cannot be “made”, any more than a revolution can be “made”. It develops out of a number of diverse phenomena, aspects, features, characteristics and consequences of the imperialist war. That development is impossible without a series of military reverses and defeats of governments that receive blows from their ownoppressed classes. To repudiate the defeat slogan means allowing one’s revolutionary ardour to degenerate into an empty phrase, or sheer hypocrisy. What is the substitute proposed for the defeat slogan? It is that of “neither victory nor defeat” (Semkovsky in Izvestia No. 2; also the entire Organising Committee in No. 1). This, however, is nothing but a paraphrase of the “defence of the fatherland” slogan. 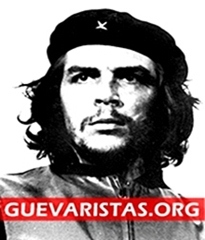 It means shifting the issue to the level of a war between governments (who, according to the content of this slogan, are to keep to their old stand, “retain their positions"), and not to the level of the struggle of the oppressed classes against their governments! It means justifying the chauvinism of all the imperialist nations, whose bourgeoisie are always ready to say—and do say to the people—that they are “only” fighting “against defeat”. “The significance of our August 4 vote was that we are not for war but against defeat," David, a leader of the opportunists, writes in his book. 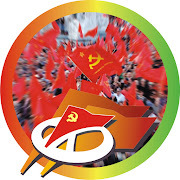 The Organising Committee, together with Bukvoyed and Trotsky, stand on fully the same ground as David when they defend the “neither-victory nor-defeat” slogan. On closer examination, this slogan will be found to mean a “class truce”, the renunciation of the class struggle by the oppressed classes in all belligerent countries, since the class struggle is impossible without dealing blows at one’s “own” bourgeoisie, one’s “own” government, whereas dealing a blow at one’s own government in wartime is (for Bukvoyed’s information) high treason, means contributing to the defeat of one’s own country. Those who accept the “neither victory-nor-defeat” slogan can only be hypocritically in favour of the class struggle, of “disrupting the class truce”; in practice, such people are renouncing an independent proletarian policy because they subordinate the proletariat of all belligerent countries to the absolutely bourgeois task of safeguarding the imperialist governments against defeat. The only policy of actual, not verbal disruption of the “class truce”, of acceptance of the class struggle, is for the proletariat to take advantage of the difficulties experienced by its government and its bourgeoisie in order to overthrow them. This, however, cannot be achieved or striven for, without desiring the defeat of one’s own government and without contributing to that defeat. When, before the war, the Italian Social-Democrats raised the question of a mass strike, the bourgeoisie replied, no doubt correctly from their own point of view, that this would be high treason, and that Social-Democrats would be dealt with as traitors. That is true, just as it is true that fraternisation in the trenches is high treason. 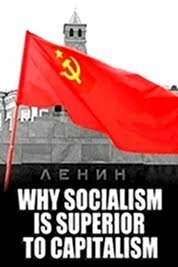 Those who write against “high treason”, as Bukvoyed does, or against the “disintegration of Russia”, as Semkovsky does, are adopting the bourgeois, not the proletarian point of view. A proletarian cannot deal a class blow at his government or hold out (in fact) a hand to his brother, the proletarian of the “foreign” country which is at war with “our side”, without committing “high treason”, without contributing to the defeat, to the disintegration of his “own”, imperialist “Great” Power. 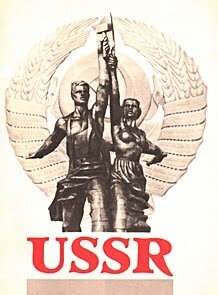 Whoever is in favour of the slogan of “neither victory nor defeat” is consciously or unconsciously a chauvinist; at best he is a conciliatory petty bourgeois but in any case he is an -enemy to proletarian policy, a partisan of the existing ·governments, of the present-day ruling classes. Let us look at the question from yet another angle. The war cannot but evoke among the masses the most turbulent sentiments, which upset the usual sluggish state of mass mentality. Revolutionary tactics are impossible if they are not adjusted to these new turbulent sentiments. What are the main currents of these turbulent sentiments? They are: (1) Horror and despair. Hence, a growth of religious feeling. Again the churches are crowded, the reactionaries joyfully declare. “Wherever there is suffering there is religion," says the arch-reactionary Barr s. He is right, too. (2) Hatred of the “enemy”, a sentiment that is carefully fostered by the bourgeoisie (not so much by the priests), arid is of economic and political value only to the bourgeoisie. (3) Hatred of one’s own government and one’s own bourgeoisie—the sentiment of all class-conscious workers who understand, on the one hand, that war is a “continuation of the politics” of imperialism, which they counter by a “continuation” of their hatred of their class enemy, and, on the other hand, that “a war against war” is a banal phrase unless it means a revolution against their own government. Hatred of one’s own government and one’s own bourgeoisie cannot be aroused unless their defeat is desired; one cannot be a sincere opponent of a civil (i.e., class) truce without arousing hatred of one’s own government and bourgeoisie! 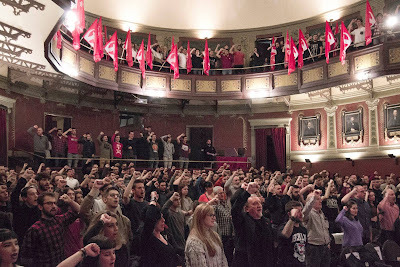 Those who stand for the “neither-victory-nor-defeat” slogan are in fact on the side of the bourgeoisie and the opportunists, for they do not believe in the possibility of inter national revolutionary action by the working class against their own governments, and do not wish to help develop such action, which, though undoubtedly difficult, is the only task worthy of a proletarian, the only socialist task. It is the proletariat in the most backward of the belligerent. 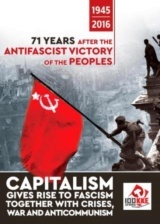 Great Powers which, through the medium of their party, have had to adopt—especially in view of the shameful treachery of the German and French Social-Democrats— revolutionary tactics that are quite unfeasible unless they “contribute to the defeat” of their own government, but which alone lead to a European revolution, to the permanent peace of socialism, to the liberation of humanity from the horrors, misery, savagery and brutality now prevailing. See p. 163 of this volume.—Ed. This refers to the tsar’s manifesto promulgated on October 17 (30), 1905. It promised "civil liberties" and a “legislative Duma”. 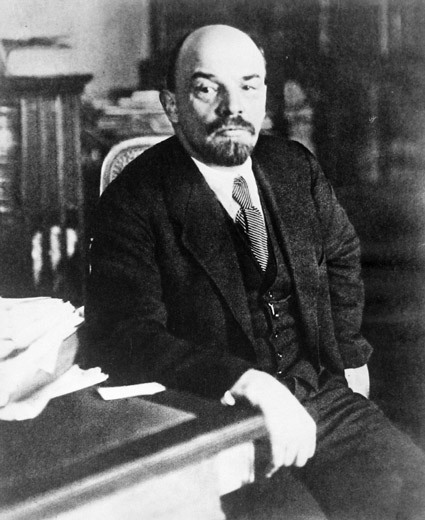 The manifesto was a concession wrested from the tsarist regime by the revolution, but that concession by no means decided the fate of the revolution as the liberals and Mensheviks claimed, The Bolsheviks exposed the real meaning of the Manifesto and called upon the masses to continue the struggle and overthrow the autocracy. The first Russian revolution exerted a great revolutionising influence on the working-class movement in other countries, in particular in Austria-Hungary. 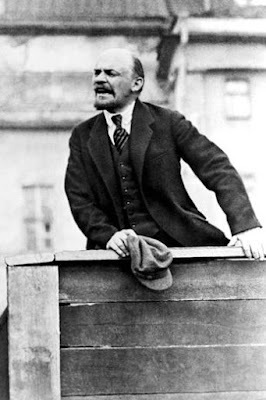 Lenin pointed out that the news about the tsar’s concession and his manifesto, with its promise of “liberties”, “played a decisive part in the final victory of universal suffrage in Austria”. Mass demonstrations took place in Vienna and other industrial cities in Austria-Hungary. In Prague barricades were put up. As a result, universal suffrage was introduced in Austria.